Traditionally 30 years of marriage is celebrated by the organic gemstone pearl. Pearl, is the organic material made by living organisms know as molluscs (such as oysters). 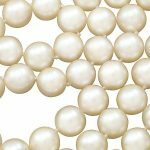 Beautiful natural pearls have been harvested from the Red Sea, Indian Ocean and the Persian Gulf for thousands of years. 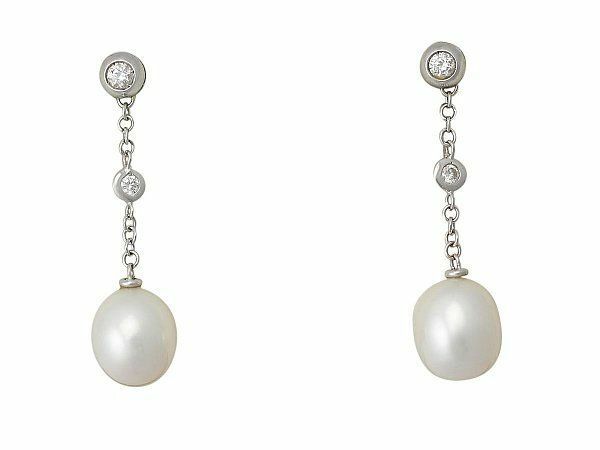 With pearls being incorporated in some of the most elegant, timeless pieces of jewellery, we believe these versatile ‘stones’ are always appropriate, no matter what the occasion. Pearls have been associated with the symbolism of fertility, friendship and loyalty; most appropriate when celebrating thirty years of marriage. 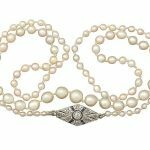 One famous story is about the time that Jacques Cartier traded a double stranded natural pearl necklace valued at $1.2 million for a mansion on 5th Avenue in NYC where he opened a Cartier store and headquarters in 1916. (Thomann, Lauren). 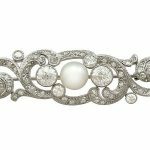 Even in the early 1900s, pearls were recognised as a valued commodity. 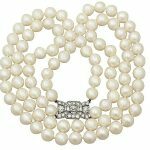 This antique and vintage double strand pearl necklace accented with a 1.78 ct diamond set clasp is one of our most treasured pearl items. 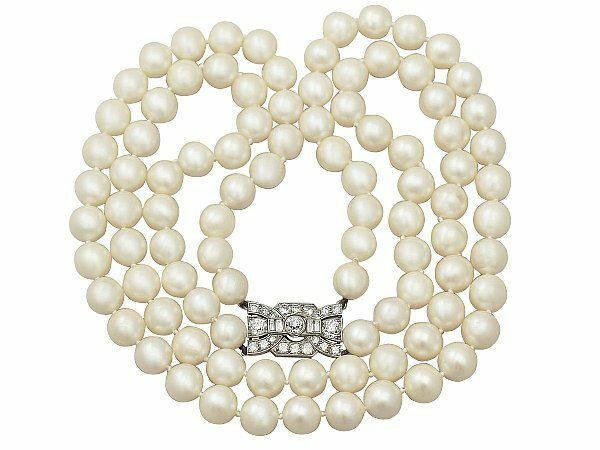 With ninety-four individually knotted pearls, this stunning necklace is one of our favourites and comes highly recommended. Two beautiful vintage, 0.86ct diamond and pearl, 18ct white gold drop earrings, circa 1970. 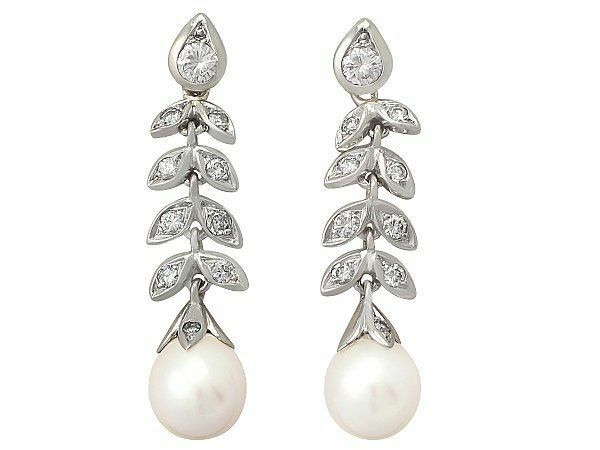 French Jeweller René Kern, Paris has combined beautiful paired leaf design to create these unusual pearl drop earrings. 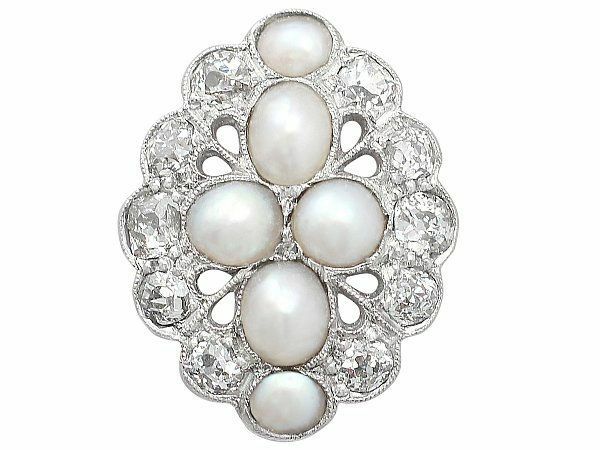 An antique, bouton pearl and 1.73 ct diamond dress ring in 18 ct white gold, circa 1900. 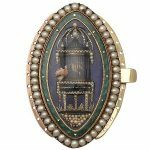 This unusual and impressive cocktail ring is definitely one to stand out and catch people’s attention. A unique accessory any women would love to own! 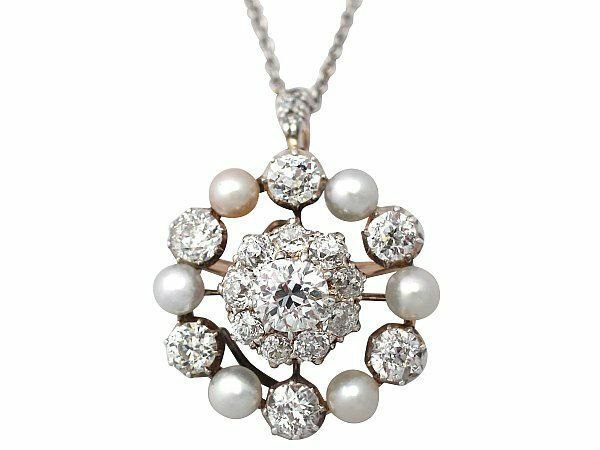 A fine and impressive antique 2.92 carat diamond and pearl, 9 carat yellow gold pendant come brooch with platinum settings. This versatile piece of jewellery is embellished with diamonds featuring a central cluster. Lastly, an exquisite pair of vintage South Sea pearl, 18 carat white gold drop earrings. These delicate, vintage earrings accented with individually displayed diamonds provide an understated yet stunning look to dress up an evening outfit or may be worn in a more casual manner to accessorise a daytime outfit.